By road, the journey to Cedar Hill Lodge is filled with scenic sights and destinations. Kalka starts your journey through the Lower Himalayas and the drive takes you to the Middle Himalayas where the lodge is located. And Yes! The exhilarating view from the lodge is that of the Greater Himalayas. Here are some destinations that you will enjoy as you arrive at the Cedar Lodge. Pinjore: 6 Kms. before Kalka lies these enchanting Mughal Gardens. The gardens were first developed in the 17th century during the reign of the then Mughal emperor, Aurangzeb. Kalka: With Kalka the ascent begins into the Himalayas. Kalka is an important hub for it serves as a railway junction and the alternate route to the lodge would be to take this heritage route, enjoying the gentle ramble of the train to Shimla. Parwanoo: Parwanoo now being an industrial township is a busy little hub. Further on lies the Timber Trail Resort. Kasauli: Beyond the Timber Trail the road to the left takes you to Kasauli. A charming sweet hill station, the town has been able to maintain its heritage and still breathes a slow rhythm with life. From Kasauli, also lies Sanawar; one of the reputed schools in the country. Dharmpur: A small town Dharmpur is famous for its food and dhabas. For the foodies it is a delight and is a common pit stop for all travelers traveling these regions of the Lower Himalayas. The British here developed a famous tuberculosis hospital that still exists. Barog: Here on the Pines and the Oaks begin to emerge with certainty and one can also admire the infrequent train passing through the tunnel to Kalka. 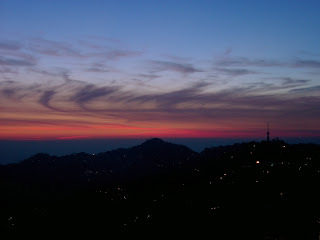 Solan: Solan is the halfway between Shimla & Kalka and is the second largest town of Himachal. A bustling, rapidly developed township has arisen over the last decade. Also known for its Mushrooms, the town is equally apt in growing various fruits grown in the nearby orchards. Kandaghat: 30 km before Shimla is the hamlet of Kandaghat. The tarmac turning to the right from the highway leads to Chail, the erstwhile palace of the Maharaja of Patiala. Shoghi: From here one can view the Shimla airport, and for those who are regulars to Shimla can almost see themselves in Shimla as the town now is only 30 Kms. away. Shimla Town: You are only 14 Kms away from the Cedar Hill Lodge. The town is usually packed and noisy during the tourist/summer season. But the town leads a vigorous summer life which changes to relaxing pace for the rest of the seasons. Dhalli: This would be the last suburb of Shimla, and the last Cedar forested ascent begins to the lodge. Here the tiny hamlet of Chharabra and the Cedar Hill Lodge lies surrounded by the sanctuary of cedars, and the alluring views of the Greater Himalayas.